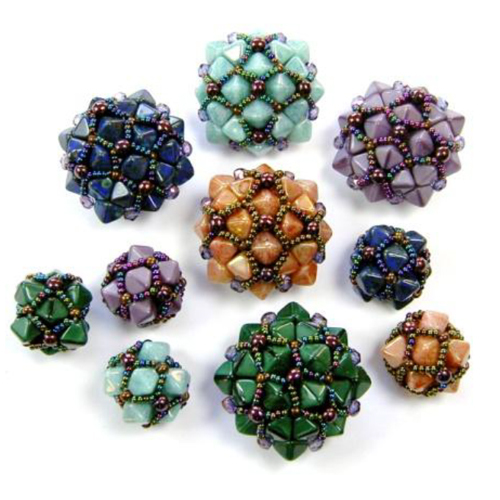 An easy and intuitive method for creating an embellished 3-dimensional cushion-shaped bead, with coordinating smaller cubes. Beads self-support, no interior stuffing needed. 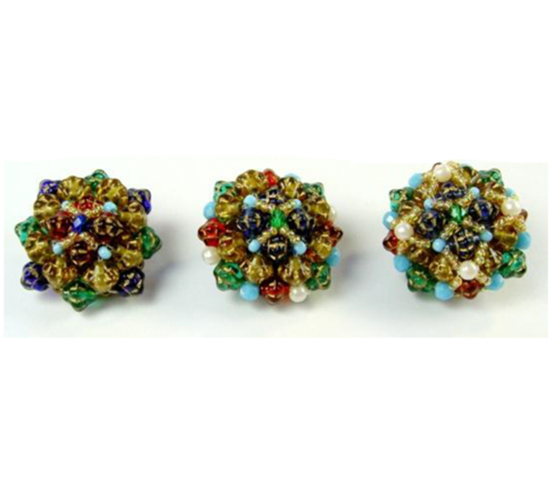 Makes a quick and attractive bead for a button & loop clasp. Pattern can be adapted to a variety of bead sizes and textures - crystals, pearls, pressed glass. Includes instructions for cross-weaving and tying a concealed knot.